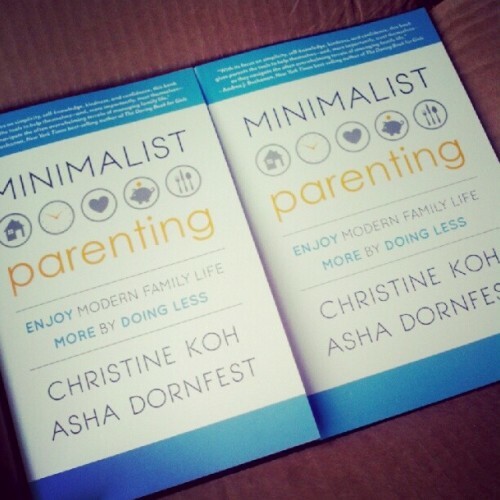 In one month (minus a day) Minimalist Parenting will officially release and there's been so much great stuff happening! I'm mostly staying offline this week for the holiday break, but I have some timely news to share and figured I'd round up all the recent goodness in one post. Asha and I are so grateful for everything that's been happening and you all are a huge part of this. Thank you for being a part of the journey! 1. Tomorrow (Thursday) at 3pm EST, Asha and I will chat live with The Oregonian Omamas! Come join us and ask questions! 3. So far, nearly 600 people (O.M.G.) 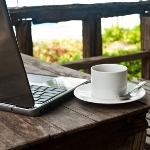 have signed up to join us for MinCamp, a 14-day free companion workshop to our book. Camp starts March 1 -- we'd love for you to join us! 4. Minimalist Parenting was featured in Redbook (yes, I almost fell over). 5. Minimalist Parenting was the cover story in The Times (London) Life section (yes, I almost fell over again). 6. Just yesterday, Minimalist Parenting received a wonderful review from The Oregonian (yes, I almost fell over for a third time). 7. We've been sharing quotes from Minimalist Parenting via our blog, Facebook page, and Pinterest. Feel free to share if these quotes resonate with you! 8. And finally, the book is off the press! In fact, I just received copies yesterday -- it was an awesomely surreal moment to hold in my hand the words I wrote with Asha, and also to see the logo I designed on the cover! The words of love and support that poured in via Facebook, Twitter, and Instagram after I posted the below photo have been amazing. I am so grateful! Exciting Announcement: Boston Launch Party!